Hino Dutro XZU404 4.6L 2003-2007 Common-Rail Turbo Diesel. 4Cyl. SO5CTB. DI. SOHC8V/16V. Hino Dutro XZU414 4.6L 2003-2007 Common-Rail Turbo Diesel. 4Cyl. SO5CTB. DI. SOHC8V/16V. Hino Dutro XZU424 2003-2007 Common-Rail Turbo Diesel. 4Cyl. SO5CTB. DI. SOHC8V/16V. Hino Dutro XZU434 4.6L 2003-2007 Common-Rail Turbo Diesel. 4Cyl. SO5CTB. DI. SOHC8V/16V. Toyota Dyna 4.6L XZU404 2003-2007 Turbo Diesel. 4Cyl. S05C. DI.SOHC 16V. Toyota Dyna 4.6L XZU414 2003-2007 Turbo Diesel. 4Cyl. S05C. DI.SOHC 16V. Toyota Dyna 4.6L XZU424 2003-2007 Turbo Diesel. 4Cyl. S05C. DI.SOHC 16V. Toyota Dyna 4.6L XZU434 2003-2007 Turbo Diesel. 4Cyl. S05C. DI.SOHC 16V. 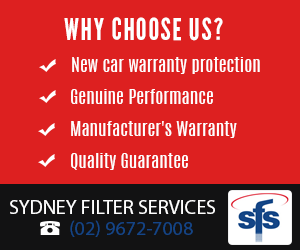 These filters will not void your vehicle's warranty. They are manufactured to meet the performance requirements appropriate to the application and are covered by the manufacturer's warranty when fitted by a licensed mechanic. Our suppliers have attained international certifications including ISO 9001:2000, ISO/TS 16949:2002.